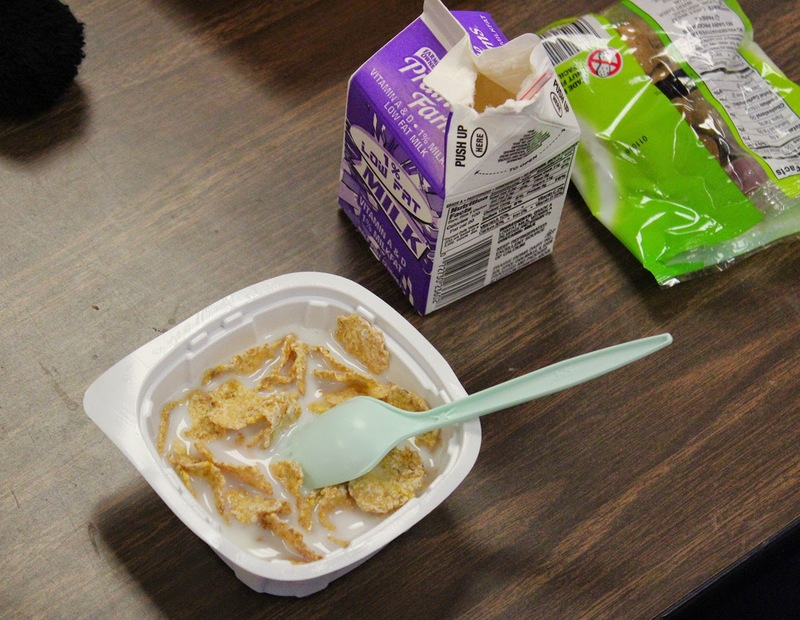 Students at Jane Addams Elementary School receive cold and hot breakfasts. By 8:40 a.m., the usual sounds of children chattering before school in Carla Modugno’s kindergarten class are replaced with the sounds of children eating. This daily transition signals a critical part of the school day: breakfast. Students at Jane Addams Elementary School in Melrose Park receive breakfast in the classroom – a federally funded program that is supported statewide by Illinois No Kid Hungry and the Illinois State Board of Education. That’s why the district offers the program, which is considered an alternative service model. Since implementing breakfast in the classroom three years ago, the school consistently sees between 80 and 90 percent student breakfast participation. That’s up from 30 percent participation when Jane Addams was offering the traditional breakfast before school. Statewide, alternative service models have been shown to increase participation in breakfast programs. But, there’s still work to be done, as there were 449,000 children who were eligible for school breakfasts in 2013 that did not receive them. “I know that when kids have food in their system, they are more energized, engaged and alert,” Carla said. Students get to their classrooms by 8:35 a.m., and have 20 minutes to eat before the bell rings and the instructional day begins at 8:55 a.m. Nutritious hot and cold meals, such as cereal or breakfast sandwiches, are served. “There’s a great need for breakfast in the morning here,” said Jane Addams Principal Frank Mikl. The child poverty rate in Melrose Park is 20 percent. Many of the children come from families with parents who are working and barely making enough money to afford food. Others struggle more, Marisa said. “Last year, I saw a little girl going around the lunch room collecting fruit cups from the kids who weren’t eating them because she was hungry. That’s why we do school breakfast,” Marisa said. On Sept. 30, the Child Nutrition Reauthorization will expire, putting children’s meal programs – like school breakfast – at risk. The Greater Chicago Food Depository is a statewide partner in the Rise and Shine Illinois campaign, which aims to increase participation in Illinois school breakfast. Read more stories about the impact of children’s programs at chicagosfoodbank.org/1in5.